Walter Pardatscher will take over from Gerhard Dichgans at the helm of VOG. On Wednesday 28 November, the Consortium’s board of directors settled on the figure entrusted with leading the Terlano-based House of Apples in the coming years, once Dichgans steps down from the role. The company has known for a year that Gerhard Dichgans, the Consortium’s long-serving CEO, was looking to go into retirement. 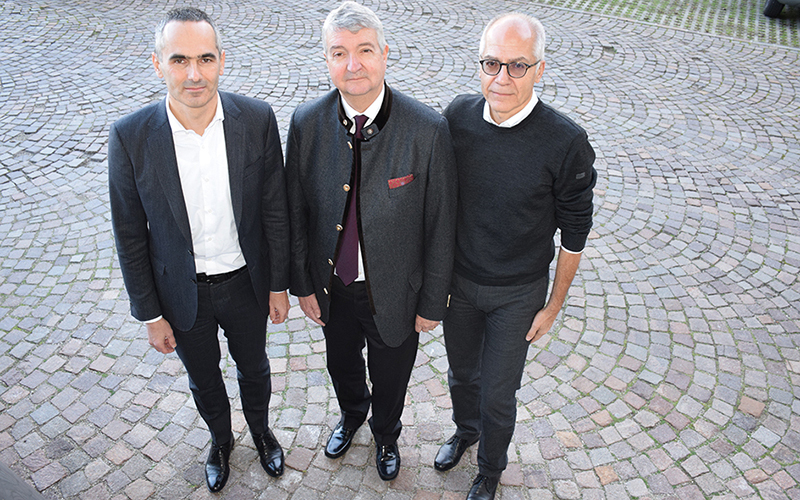 The board has been hunting for a suitable successor for a number of months, now identified thanks also to the support of a renowned recruitment agency based in Monaco. The board concurred that Walter Pardatscher is the individual with the right skills to drive forward the consortium’s ambitious plans. 48-year-old Pardatscher has a background in apple growing: he grows them himself and is also chairman of one of the VOG cooperatives. The future CEO of the Terlano consortium will first serve out his current contract with the Autostrada del Brennero motorway company, in his capacity as CEO. From 1 August 2019 he will bring his valuable experience to VOG.